Cape Canaveral Air Force Station Launch Complex 13 (LC-13) was the sister site of Cape Canaveral Air Force Station Launch Complex 14 (LC-14) and was used for unmanned Atlas intercontinental ballistic missiles (ICBM), rocket tests, and Atlas-Agena launches. 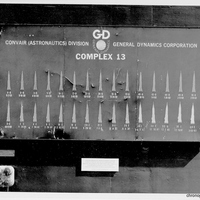 As was the tradition, a launch tote board, posted at the blockhouse, listing the launches and rocket configurations was typical for launch sites. "AtlasLaunch Complex 13." Air Force Space & Missile Museum. http://afspacemuseum.org/ccafs/CX13/. 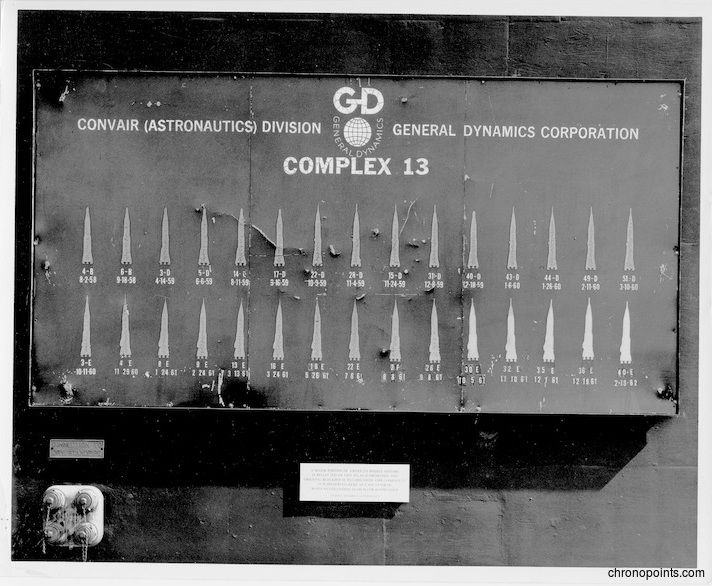 “Cape Canaveral Air Force Station Launch Complex 13 Launch Tote Board.” RICHES of Central Florida accessed April 23, 2019, https://richesmi.cah.ucf.edu/omeka/items/show/5013.